After leaving Lagavulin we followed the road along the Islay coastline passing by Laphroaig until we reached Ardbeg. The distillery is a major attraction and attracts visitors from across the world, as do the other major names on the island. 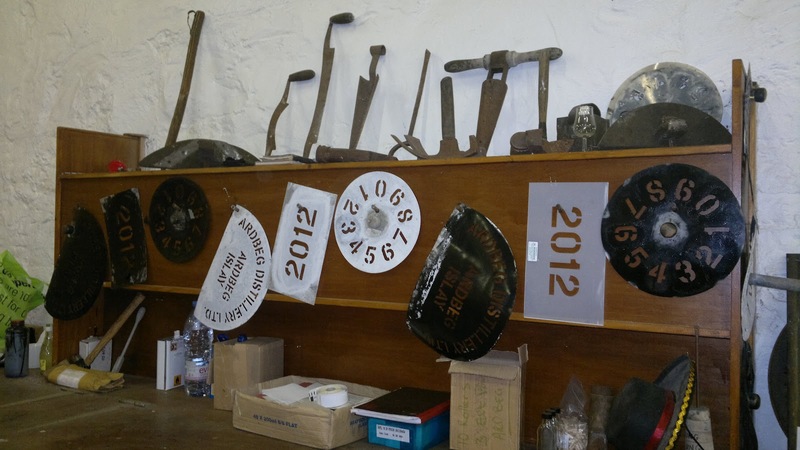 I was fortunately on Islay after winning the Edinburgh Ardbeg Day event in June and the prize included flights, accommodation for the night and a tour of the distillery with lunch in the popular Kiln café. 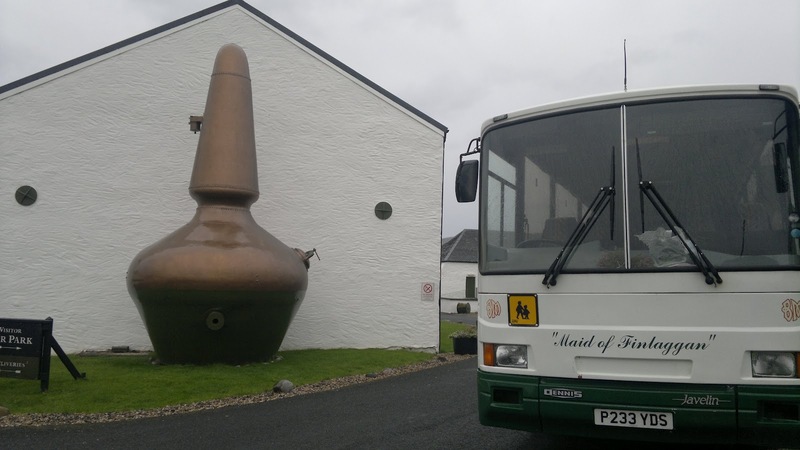 The tour I experienced was a personal one with Lynn our local guide who was hugely informative and enthusiastic about whisky, life on Islay and Ardbeg. I’m optimistic that the route we took through the distillery is exactly the same as the standard Ardbeg tour, however as we had a personal guide we had much longer to take in the surroundings and ask questions. 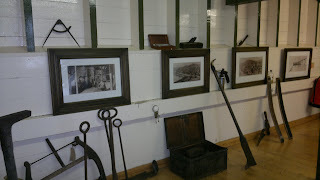 The tour commences downstairs surrounding by old photographs and tools of the trade. Here we learned about the importance of peat on the island (something that would be brought to life at Laphroaig and Bowmore) and the physical labour involved (again seen at Dallas Dhu, which is frozen in time) in harvesting this vital ingredient. 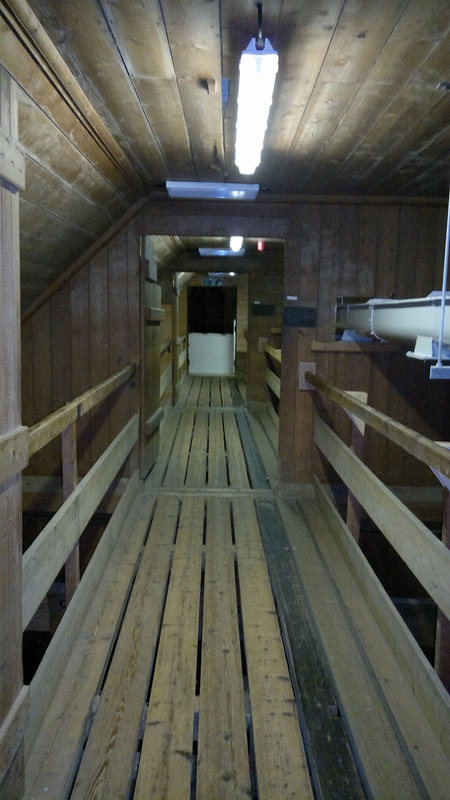 Moving upstairs, we took in the original wooden malt stores that are no longer used due to the material and modern health and safety requirements. This was a firs,t as every distillery I’ve visited, these have been torn out and replaced by metal containers and walking along the gangplank above you could appreciate their size. Then descending down into the hive of production I was taken by just how small Ardbeg is for a huge name. Even Dalmore that seemed small and had been expanded recently was much larger than this whisky giant. With production going strong at 5 days a week the production figure I was quoted and I think is right was 0.8 million, which is tiny compared to some on the mainland or Caol Ila. 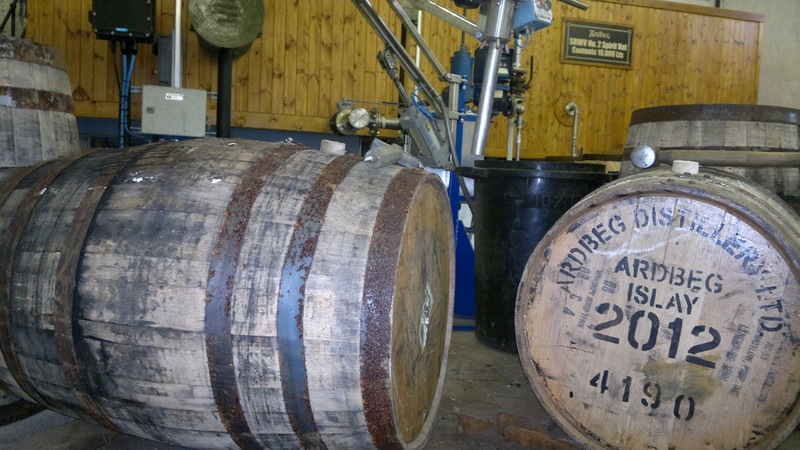 This is why we’re paying more for Islay whisky, as a I suspect a great deal of that is being put aside for longer ageing to make up for the shortfall when the distillery was mothballed in the 1980’s. And the growing popularity of Ardbeg at home and abroad continues to stretch limited resources. So on the tour we next arrived at the malt mill. This is a typical feature in every distillery and each one seems to have been made by a company in Leeds, who did such a fantastic job that after you bought one, you’d never need another. The example from Ardbeg is from 1913 has been in use ever since with the only modification moving from belt driven to electrical power. 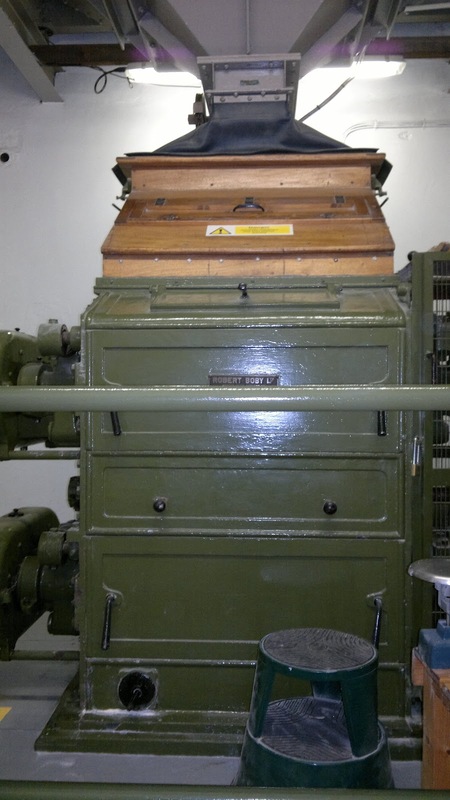 A remarkable piece of machinery; they should have moved into making washing machines. 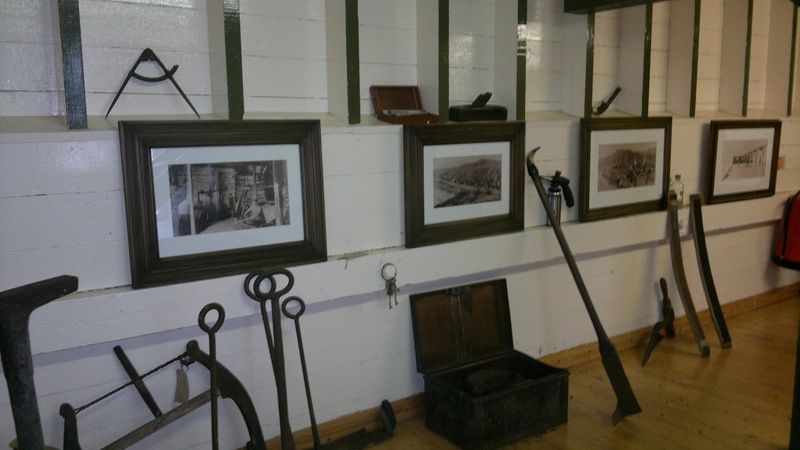 We were allowed to explore the washbacks at our leisure and it’s here at the back of the room that affords a wonderful view of Islay coastline and sea; a stunning backdrop to your daily working environment. Then it was onto the still room with just distinctive 2 stills being responsible for everything we know about Ardbeg. 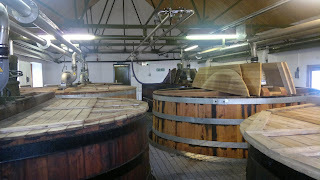 The tour itself did not include any warehouse facility but we were allowed to take in the cooper area, where casks are prepared for the new spirit. This is a very informative tour and a good introduction to Islay whisky before we undertook more in-depth tours at Bowmore and Laphroaig. As always my complete set of photographs are here for you to view. In part 2 I’ll be talking about the Ardbeg tasting and mentioning their wonderful café and well stocked gift shop!